The No. 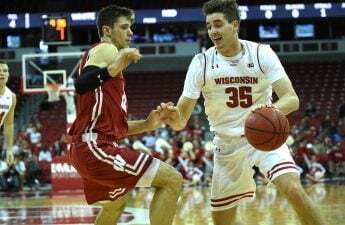 19 University of Wisconsin men’s basketball team defeated the Minnesota Golden Gophers (16-7, 6-6 Big Ten) 56–51 in a Border Battle matchup late Wednesday night to avenge a Jan. 3 home loss. The Badgers (17-6, 9-3) led most of the way behind another stellar performance from Ethan Happ and a near triple-double from Nate Reuvers. D’Mitrik Trice nailed a clutch three-pointer with 1:44 to go in the second half to give UW a 52–46 lead, effectively icing the game and giving Wisconsin its fourth consecutive win on its rival’s home court. Reuvers finished with seven blocks to go with nine points and eight rebounds in another stellar defensive performance. This is Reuvers’ third game with more than five blocks this season. The Badgers led 24–21 at halftime after committing zero fouls in the first half, the first time they’ve done so all season. Wisconsin struggled shooting the ball all night, going just 27 percent from three, but its defense held off the Gophers late to secure the victory. Happ had yet another All-American performance, finishing with 15 points, 13 rebounds and four assists. The senior also added a block and a steal. Trice and Brad Davison struggled offensively, finishing with a combined 19 points on 5-for-22 shooting and 4 of 13 from beyond the arc. For Minnesota, senior Jordan Murphy had a monster performance on the boards with 19 rebounds to go with 16 points. Freshman Daniel Oturu added 12 points off the bench for the Gophers, tying a career-high. The win gives Happ a perfect 4-0 record all-time on the road against the Gophers. Minnesota Head Coach Richard Pitino fell to 2-9 against Wisconsin in his career, as his team was held to a season-low 34.5 field goal percentage. 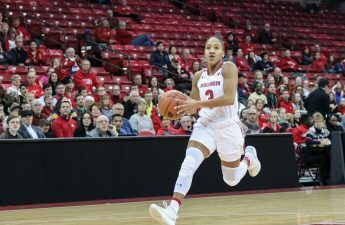 The Badgers are now riding a six-game winning streak and moved up to a tie for third place in the Big Ten after a Michigan State loss to Illinois Tuesday night. The loss is the second straight for Minnesota, who lost to Purdue Sunday. They now sit at seventh place in the conference. In the midst of their hot streak, the Badgers have given themselves the ability to take control of the Big Ten with crucial upcoming games against Michigan Saturday and Michigan State next Tuesday. 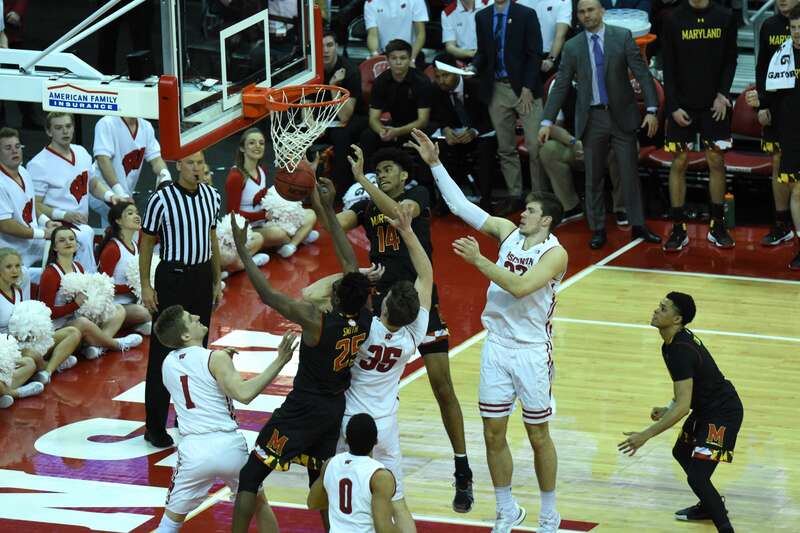 After recent losses by both teams, the top four teams of the Big Ten are separated by just one game, giving the Badgers a realistic chance of winning the Big Ten regular-season title. Wisconsin will take on No. 7 Michigan (21-2, 10-2) in Ann Arbor Saturday at 11 a.m. The Badgers upset the then-No. 2 Wolverines at the Kohl Center three weeks prior to kick-off their winning streak after losing four out of five games. The game will be televised on FOX and broadcast on the Badgers Radio Network. Wisconsin’s next home game will be Feb. 12 against the No. 9 Michigan State Spartans (18-5, 9-3).